Considering Mitchum’s background, it’s forgivable to conflate his cinematic existentialist tough guys with his mythic, often dubious, real-life history. Some things are certain, though: Mitchum lost his father early, crushed as he was between two train cars while working as a freight man; and as an itinerant hobo, he rode the rails for years before becoming an actor. It’s the synthesis of these experiences that helped to shape Mitchum’s detached, survivalist exteriority. Robert Mitchum died on July 1, 1997, and, for about twenty-four hours, had Hollywood’s effusive eulogies all to himself. When, a day later, iconic golden lion James Stewart passed on, the tide of nostalgia for American cinema’s most incorruptible onscreen avatar washed over Mitchum’s oeuvre, an undertow pulling apart the seaward fibers of collective memory. On Mitchum’s 100th birthday in 2017, retrospectives and remembrances percolated all over the film revival circuits, recasting – justifiably – the brawny actor as every bit the mid-century American male ideal that Stewart was, if also as Jefferson Smith’s hipper, wayward cousin, more comfortable riding the shadows than soapboxing out front. 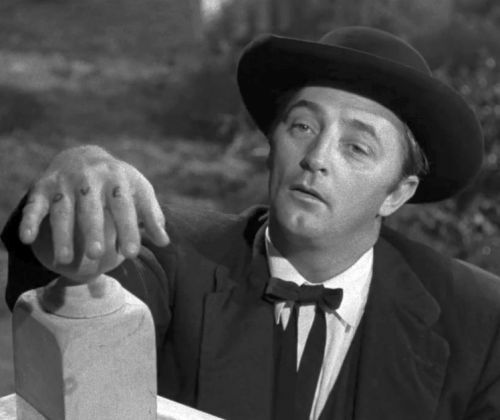 In fact, Mitchum’s career has a diversity that Stewart’s quick ascent in Hollywood couldn’t afford him until much later in his career; as adept as Stewart became at exploring the darker aspects of his screen persona, though, it’s doubtful he ever could’ve channeled the demonic lunacy of the preacher Harry Powell in 1955’s Night of the Hunter or the toxic, murderous masculinity of ex-con Max Cady in 1962’s Cape Fear. 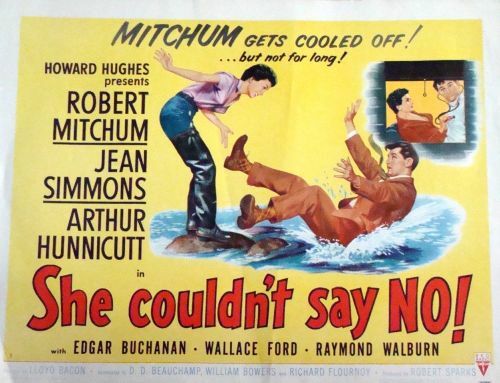 While Stewart took on the haunted, flawed, anti-hero roles during his brilliant 1950s run between The Naked Spur (1953, and the rest of the noir-ish, ferociously pastoral Anthony Mann westerns of the era) and Hitchcock’s Vertigo (1958), it was simply Mitchum’s default. Mitchum might be remembered best for his mid-career, unsettlingly realistic characterizations of violent men, but it shouldn’t preclude a great swath of his work that is at once elegiac, yielding, and painfully human. 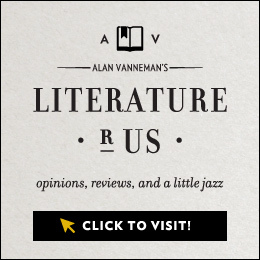 In the midst of a fever dream escape from a murder he didn’t commit with a manipulative, possibly psychotic femme fatale in 1950’s Where Danger Lives, his Dr. Jeff Cameron intones a whisper where the night road meets the woods: “Everything’s quiet.” It’s a genuinely convincing moment, an amalgam of man and character on an onerous search for peace. It’s arguable, though, that melancholy is the most present attribute in Robert Mitchum’s filmography, considering a handful of his best, most enduring outings. The Story of G. I. Joe (1945) casts him as stern but loyal and empathetic Lieutenant Walker opposite Burgess Meredith’s war correspondent Ernie Pyle, in an adaptation of the writer’s actual WWII reporting. In this strikingly realistic film for its immediate, postwar box-office positioning, Mitchum lets the exhaustive sadness wash over him in maybe his finest acting moment (in the only Oscar-nominated role of his career) when he tells Pyle in the film’s third act that he, too, writes … to all the widows and mothers of the fallen soldiers in his unit. When Walker is later killed on the battlefield, his men file slowly past his prostrate body, each acknowledging their leader and the pain of war privately. 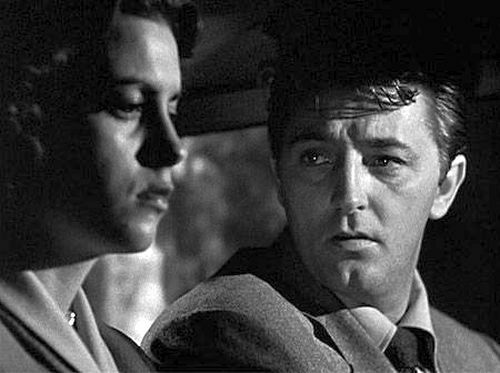 The classic Out of the Past (1947) again finds Mitchum acquiescing to the allure and energy of a woman on the edge. While Where Danger Lives lets his Dr. Cameron survive in the end – a last-minute, deathbed pseudo-confession by troubled Margo Lannington (Faith Domergue) exonerates him – Past’s Jane Greer steers him right to his inevitable death. In fact, many of Mitchum’s most prominent characters wind up expired (see also 1952’s The Lusty Men, with Bob as a washed-out, broken rodeo cowboy, and 1953’s Angel Face, another under-the-spell-of-a-dangerous-woman offering). It’s a fate he doesn’t muster to fight much when it comes right down to it, a twilight surrender that comes to an apocryphal head in Mitchum’s greatest late-career performance. 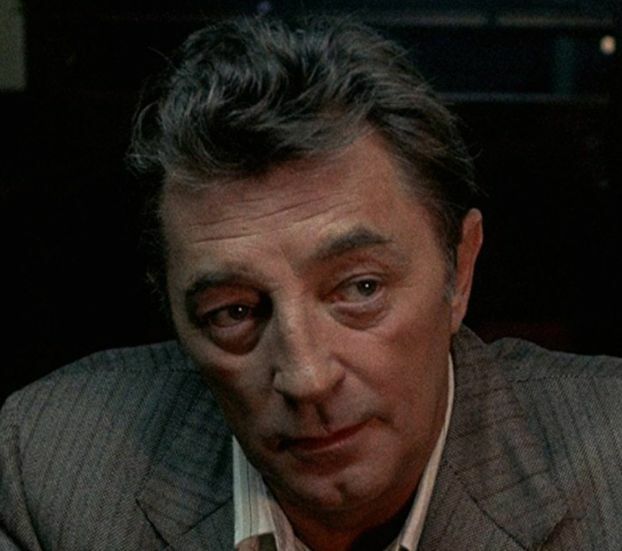 For cinephiles in Boston, The Friends of Eddie Coyle (1973) is a towering neo-noir, an authentic city snapshot that encapsulates the grimy tussle and warped nobility of low-level criminals. Director Peter Yates, still operating in his chipped concrete and faded chrome Bullit mode, trades San Francisco for the autumnal desolation of coastal Massachusetts, and Steve McQueen for a grizzled Bob Mitchum as the titular Coyle. And it is a film about fall, in all its incarnations; the trees are bare, there’s a chill in the air, and the imagery runs parallel to the film’s barren, doomed souls and creaky allegiances, all threatening to break apart at any moment. Despite the title, no one’s really Eddie’s friend. Mitchum plays the character as a sheepdog in wolf’s clothing, angling to play sides against each other so as to avoid a stretch in a New Hampshire prison, but really just wanting to share breakfast with his sharp wife, Sheila (a buoyant Helen Carroll, whose playful chemistry with Mitchum in two brief scenes feels genuine). We first see Coyle through the street-facing window of a diner, meandering about Boston at night. Mitchum tells us enough about Coyle’s desperation here; from within the character’s cracked-paint, faux-psychic armor, he seems to be perpetually reconciling the different sides of his persona, a strain to remember which to employ and when. His understated acting is in the tenor of someone who was a tough guy, but the regrets have mounted. The diner’s glass is a buffer, though, obscuring just enough of Coyle’s specific features to never truly know him; he’ll remain a sad cipher throughout. Coyle arrives at the diner to discuss a weapons purchase with a cocky young dealer, and it leads him into a story told as metaphor – a talent of Mitchum’s, who was forever a writer at heart – about how he got his knuckles slammed in the door of a car (“cahh,” really, as Mitchum – ask anyone from Boston – nails the accent). He rubs his swollen joints, Mitchum’s days as an inveterate brawler himself written over with Coyle’s achy penitence. The message is pretty clear: everyone’s gonna get their knuckles busted sooner or later. Of course, in a film as Shakespearean as Eddie Coyle, the insult would be having him live beyond the last frame. Coyle’s death is especially lonely and ignoble: his “friend” Dillon (an unnerving Peter Boyle, whose character actually is the rat that Coyle is ostensibly accused of being by a crime boss), after treating him to a Bruins game at the old Garden, drives him to an empty bowling alley parking lot, putting a bullet through his booze-nodded head in the meantime. A ricochet from the gun of Dillon’s lackey bores through the passenger window; the bookending window allusion comes full circle, but this time we’re prevented from seeing any of Coyle, despite the opportunity for clarity that the bullet hole represents. 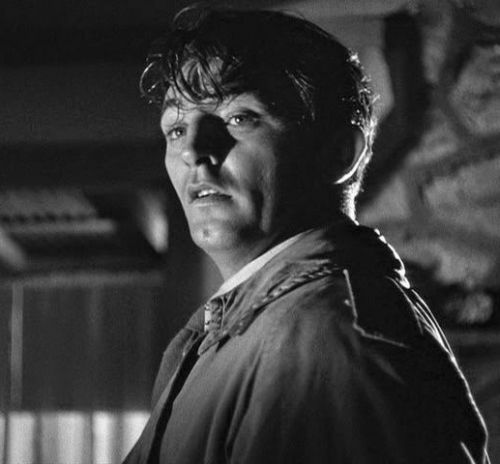 A night-lurking, high-angle camera looking down on the exterior of the car keeps us from the dead man, a silent allowance of privacy suggesting that Coyle – and Mitchum, free of having to shield disparate aspects of his screen self anymore – may find his peace on the other side after all. 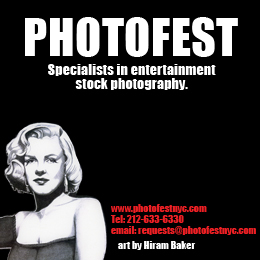 Unless otherwise indicated, all images are screenshots from the DVDs of the films.